Relational Integrative Psychotherapy aims to be an accessible, practical exploration of processes and theory in our psychotherapy practice. There are currently many different ways of doing relational integrative psychotherapy, a plurality fostered by a Zeitgest which celebrates both the ‘relational’ and ‘integrative’ dimensions of psychotherapy. Rather than rely on a single-school approach, with its specific theory and methods, psychotherapists are increasingly looking beyond traditional boundaries towards more holistic practice. The ideas presented in my book and on this website derive from a variety of traditions, including cognitive, existential-phenomenological, gestalt, psychoanalytic, systemic and transactional analysis fields. There is a consequent broadness to the practice of what I am calling ‘relational integrative psychotherapy’ which enables it to spill over into other fields, including cognitive behaviourism and relational psychoanalysis. Instead of committing to one particular modality, I argue for a less polarising professional identity that takes a relational and integrative focus. I aim to honour the richness of our field as a whole, rather than promote any particular relational integrative model. I also seek to explore key questions: how do we pull together potentially contradictory ideas and varied practices in a coherent way? How can we embody the relational qualities necessary towards genuine existential healing? Relational Integrative Psychotherapy will appeal to the wide range of psychotherapists and counsellors who work in relational and integrative ways. Members of the allied therapeutic professions (such as counselling psychology, social work, occupational therapy and mental health nursing) who offer counselling and who seek to work in relational and integrative ways should also find this book useful as a supplementary text. Chapter one addresses the question: ‘What is relational integrative psychotherapy?’ In this chapter, I try to define what is meant by ‘relational’ and ‘integrative’, acknowledging that these are contested terms and used in varied ways by different practitioners (see handout). The chapters in PART I explore the ‘being and doing’ processes that apply across all the modalities. We all aim to engage clients in therapy and empathically attune to their needs – whatever the theoretical perspective we adopt. We intuit, interpret, contain and hold clients’ emotions; we offer challenge and enable them to resource themselves; and so forth. Eventually, when clients have internalised our nourishing relationship and are able to feel differently about themselves and more connected to others, we work towards ending therapy. 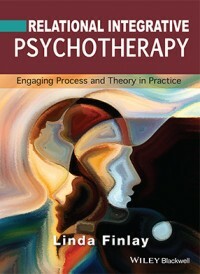 Throughout the chapters of Part I, I highlight the central part played by the therapeutic relationship. The aim is to provide an enriched perspective on our field rather than a ‘how to’ manual. PART II introduces key concepts underpinning the different theoretical perspectives. These chapters stand alone as resources to be dipped into rather than necessarily read in sequence. I have chosen to focus on the major fields: cognitive, existential-phenomenological, gestalt, psychoanalytic, systemic and transactional analysis. Throughout I seek to examine how the theory might be applied in relational and integrative ways. I use a lot of illustrations of relational integrative work in practice and draw on a range of material in an effort to show its diversity and depth. Most of my examples have been taken from already published sources. Of the rest, some case studies are based loosely on my practice and experience but most are constructed fictionalised accounts. I note those (anonymised) stories where individuals have generously given their specific consent to reproduce them. I invite you to dwell with the examples. Allow them to resonate. You will see the profound, poignant and at times seemingly magical work in which we engage. Together with ‘Case illustrations’, I use ‘Research’ and ‘Theory’ boxes at regular intervals to highlight our psychotherapy evidence base and the theory/techniques applied in practice. Footnotes offer deeper theoretical explanation and analysis. Importantly, in each chapter I discuss how theoretical ideas can be complementary and competing and how this is important to recognise when we try to integrate theory in relational ways. As space doesn’t permit a discussion about all the theories in each chapter, I selectively focus on 2 or 3 in each. My hope is that readers will read across the chapters as a whole to gain a more holistic, integrated understanding. Finally, I would like to acknowledge that many people have helped with the evolution of this book. Ken Evans in particular has mentored and encouraged me over the years, and his work continues to inspire me. I was extraordinarily touched when Ken offered to write the forward to this book and I thank him for his generous words. Four other ‘teachers’ who continue to influence me over many years through their seminal writings have been Patricia DeYoung, Richard Erskine, Ernesto Spinelli and Irving Yalom. I draw on their collective wisdoms frequently in the book. Throughout the book I’ve tried to include many voices and key names/references to acknowledge the contribution of many extraordinary therapists, scholars and writers.